It is quick to familiarise yourself with the screen layout. Other features for basic operation. 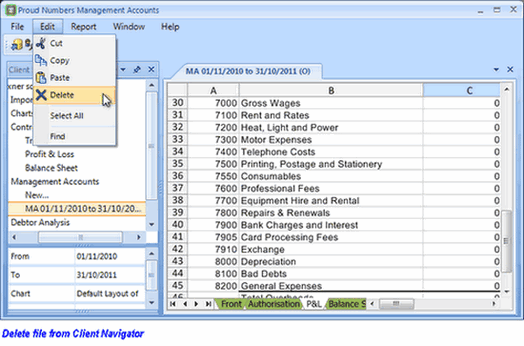 The Report menu is used to generate Management Accounts, Debtor Analysis and KPI's. 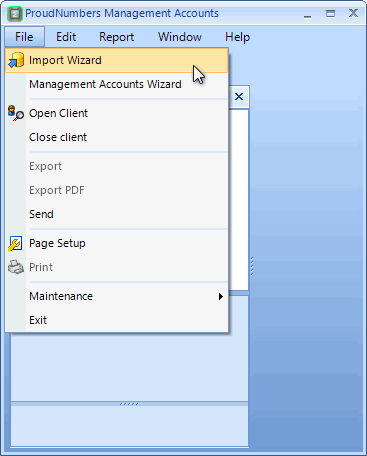 The Client Folder displays the selected clients data. Only one client is displayed at a time. 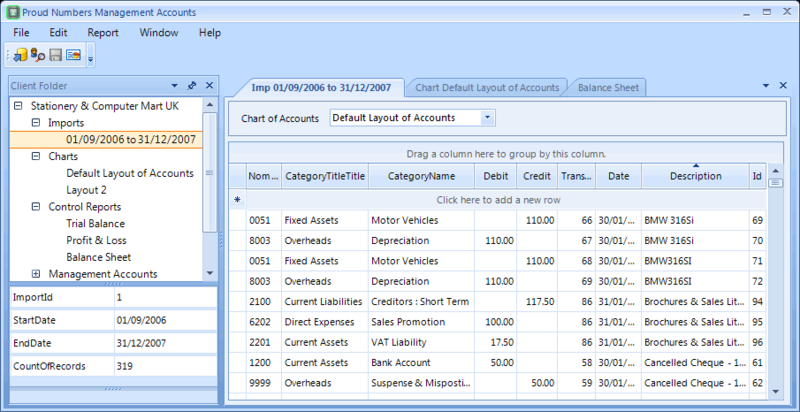 Charts of Accounts - lists charts as created in Sage right click options to expand/reduce NC reporting level to Individual Accounts. Click a tree item to generate or select a report. The desk is the data viewing area. 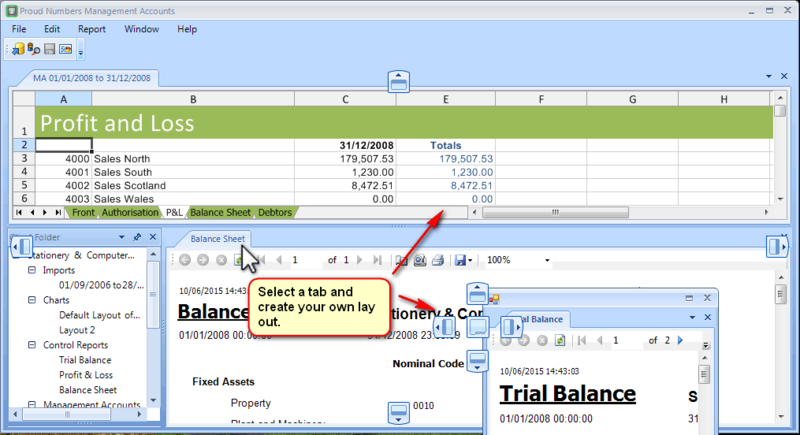 Control reports are non editable but have a mini-bar for viewing & printing. 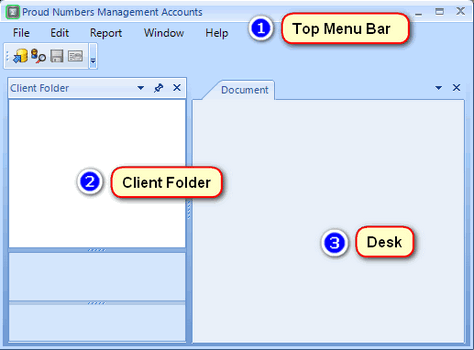 Management Accounts have some spreadsheet functionality and multiple contents named in the lower tab bar. These can be spread over the screen to make the display that best suits you. Just pick up the 'sheet' on the desk and place it on a locating arrow.